The devices that you buy come with instructions for use, but the phone manual does not usually contain instructions for the operating system installed on these devices. Google has now realised this and has launched a new section on its Android website dedicated to teach its users how to use its operating system more efficiently. 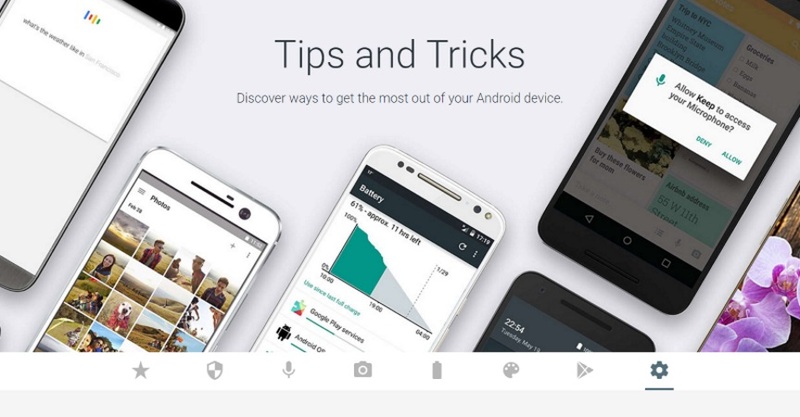 The new section named ‘Tips and Tricks’, teaches the users how the most basic functions can be performed on Android and is extremely useful for the users who are new to the platform. The section, for example, tells step-by-step instructions to set recurring alarms. The various sub-sections include tips and tricks regarding privacy and security, voice functions, camera and photo apps, saving your battery life etc. There are tips to customise your phone’s theme and organise apps according to your use. Tips and Tricks also suggests various Google apps that will enhance your Android experience and will help you get the most out of the platform. In addition, it lists out the useful features that come along with its applications. The new section may not have anything new for experienced users but this sort of a guide is bound to be of use to many smartphone users. Next time you lose your Android phone and want to know how to lock or locate it, you sure know now where to head to.